Celebrity Personal Trainer Mike Ryan Inspires Top Athletes & Actors! With many stories to share and much advice to give, Mike is one trainer that inspires and enthuses with his approach to training. Here's more about him and his approach to getting the best health and fitness results possible. An Interview With Celebrity Personal Trainer, Mike Ryan. Celebrity personal trainer Mike Ryan is one health and fitness expert that walks the walk, demonstrated by the amazing physical shape he maintains in light of his all-encompassing position as consultant to Hollywood's elite. 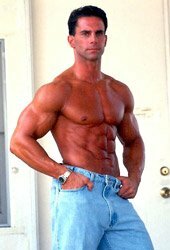 Currently working with high profile Bollywood actors, Mike, who also runs a thriving training business in California, where, additional to his celebrity clients, he assists busy executives get into their best shape, has effectively used his knowledge, gained over his 25 years in the health and fitness industry. The results are often seen on the big screen. 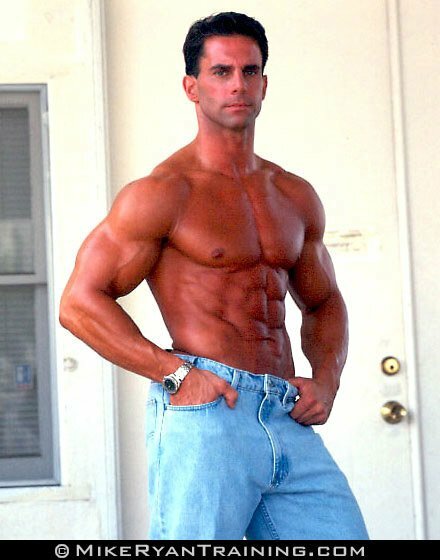 Getting his start in the early '90s as a consultant to major sporting stars, Mike is an old school bodybuilder at heart. Mike Is An Old School Bodybuilder At Heart. His clients are expected to throw around a lot of iron. From major athletes Kobe Bryant and Bill Romanowski through to film stars Dwayne 'The Rock' Johnson, Edward Norton and Mickey Rourke, among many others, Mike has worked with the best and has achieved incredible results with each. With many stories to share and much advice to give, Mike is one trainer that inspires and enthuses with his approach to training. I spoke to him recently and he shared his background and his approach to getting the best health and fitness results possible. [ Q ] Who are you training celebrity-wise these days Mike? , so I am always offering advice and a helping hand to those guys. But for contractual purposes I am working in Bollywood right now. [ Q ] Is that generally how it works for you? Are you contracted to one person or group of people at a time? Yes, usually I get contracted to one guy and when I'm with that one person I really dedicate a lot of time, effort and energy to them. I really want them to get the most results. And I don't want to spread myself thin because I do have a steady cliental base back here. [ Q ] So your steady cliental base would comprise non-celebrities? Correct, I have a few guys, but more guys behind the scenes. I have presidents of networks, big time producers. [ Q ] I guess you would need to have strict confidentiality agreements in place for these people as well. I Want My Clients To Get The Most Results. [ Q ] When did you get started in the personal training industry? and lacrosse. These are all high impact sports so I always had weight training as training requirement. I was fortunate enough to play college football and I played a little pro in Europe. I always had the drive and I always just loved the gym environment. So when I graduated college I put a little more time in there and when my playing days were behind me I still worked out. I was always fascinated with training and how my body responded. I never really thought (personal training) would be a profession until I moved out to California - I grew up in Boston. When I moved to California and started working at Gold's and with the visibility and just being there, people started asking me questions. People would be very complimentary. They would be like, "Gee, I want to look how you look." That just fuelled me to study more and learn more and to work with some really cool people. [ Q ] In a sense, looking the way you did, you were you own advertisement. It really is true. That's what I tell a lot of trainers who ask me how I began working with so many people. I tell them that your physique is your number one marketing tool. The business we are in is very visual. If you're in shape 365 days a year people are going to be enquiring about how you achieve this. [ Q ] And you are inspiring your clients through the way you look as well. [ Q ] At what point in your career did you begin training celebrities? all natural and asked me to join the company, to be a spokesman for the company. I'm like, "Oh sure, promoting natural athletes would be great." Through all the contacts I had at Gold's I became the head of VIP marketing for EAS. So what I would do is work with a lot of athletes. So I started with athletes first. We were always involved with the Broncos because we were Denver-based. Kobe Bryant was a rookie and all these guys were receiving products from us. We were giving the products to them and telling them to take it, explaining the best time to take it and what is the best way to train. And they were, "wow that's great, could you train me some more." So with EAS, we devised a team; I had a team of trainers that would follow guys to pre-season, follow guys to locations, camps. Then these guys were getting the maximum benefits from EAS and of course they were promoting the h#ll out of the company. [ Q ] And when did you begin training actors? It's funny, especially in California, celebrities and athletes co-mingle. Wherever you go to a party you are going to see an athlete or a movie star or a musician. You see them at parties and at charity events. It started with the athletes who invited me. You go along and before you know it you are talking to the guys from Kiss, or you are talking to the Spice Girls. And you start talking to all these other musicians. People will introduce you; my athlete clients will tell one of their celebrity friends, "I have this trainer Mike Ryan, I would like you to meet him." 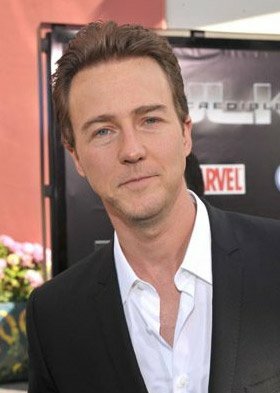 Before I know it I am talking to Edward Norton. [ Q ] That must have been an incredible experience, meeting all of these different entertainment industry stars. It was. It was overwhelming. To this day I feel very blessed and fortunate and am thankful for every day that I get, that's for sure. [ Q ] I would like to discuss your experiences training and hanging out with some of your celebrity clients. Tell me how you first met Mickey Rourke? Mickey has always been a gym guy. He called me one day and said, "Did you ever hear about the comic book called Sin City." I was like, "Yeah, I totally love it." Well he said, "They want me to play Marv, one of the characters." I'm like "Mickey, that's so for you. You should get in the gym and just start getting jacked." I'm sure if you saw Sin City you would agree he looked fantastic. And he was so dark and foreboding. It really re-launched his career. He is a good guy and I love him to death. He told me whenever he has a project he wants me to work with him. I was obligated to be in Miami with my Bollywood guy while he (Mickey) was in New York doing a wrestling movie (The Wrestler, currently in post production) so I followed up with him, gave him a program and wrote a diet for him as he progresses along. [ Q ] How long did you work with Mickey for? , kind of a like an early James Bond film. [ Q ] And during that period, did you develop a personal as well as a professional relationship with Mickey? Oh yeah, absolutely. That's one of the things that happen. Fortunately all the guys I tend to work with all have the same likes and dislikes, we have a fascination for bodybuilding and training. So personally I got along so well (with Mickey). [ Q ] It must be an incredible honor for you to be on close terms with many of these big names, people who would be off limits to the average person. Yes, especially growing up in the '80s, Mickey Rourke was just so massive. 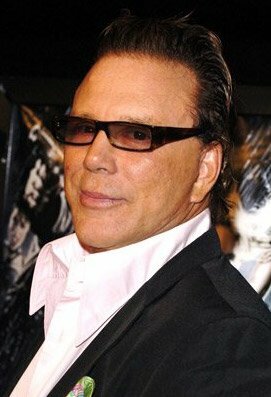 When I tell everyone I was with Mickey Rourke, everyone my age - 40 and above - are just like, "That is awesome." And I'm like, "Yeah, he is just the coolest guy." [ Q ] Was Mickey committed and disciplined when it came to training? too, he dropped out of Hollywood for a while to do this. So he is a very intense guy. When he trains on his films you can see it. Some days I'm thinking if he isn't having a good day he's going to kill me (laughs). [ Q ] Mickey does strike me as being the kind of guy who can be unconventional, a little wild. Yes, absolutely - with everything. Life in the fast lane: from training to acting to his social calendar. [ Q ] What kind of training program do you design for your clients? Do you have a particular approach for all your clients? It's like, what is the primary role going to consist of? Are you going to be short-listed? Do you have to be thick, have to be big? When do you want to look your best? It's all geared on the shooting schedule. Dealing with Edward Norton it was a reversal. When he did Fight Club, he wanted to peel all his muscle off from American History X. He is like, "Mike, I'm having a meltdown, my whole role is me having a meltdown. Mentally, psychotically, physically." So it was basically skipping a bit of rope here and there, a couple of sets of push-ups, plyometrics. Towards the end - Edward is such an intense actor - he was just living off a protein shake and an apple a day. Edward Norton In Fight Club. © 1999 - 20th Century Fox. [ Q ] That's extreme, but it did the job in the end. 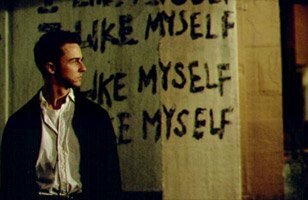 Oh yeah, when you see Fight Club, you see the guy just go from scene one to the final scene in the movie; he just has a total meltdown. He's half his size and he's all whacko (laughs). [ Q ] When training any of your clients, do you use a specific approach or do you tailor it more to the individual needs of the client? these days. Personally don't care for that stuff. I'm an old school guy; I love the iron. When you work with me you are going to throw around a lot of iron so you better get used to it. [ Q ] Most trainers I have spoken to tend to be no nonsense in that they expect the best from their clients or they don't bother at all. Are you one of these trainers? Absolutely. Especially when you have actors, because they have time frames. It is like, "Well I have 30 days and I need to look my best." I'll be like, "Oh sh!t, here we go." [ Q ] Are you the kind of trainer that expects a certain outcome and if the client doesn't meet that, you will continue until it is reached? Yes, exactly. The funny thing is, when I'm on the road with my guys I'll train with them. I'm a pretty driven guy, so when I get into training someone, I will say, "Hey if I can push this weight you can do it too. If I'm getting up at four o'clock to run six to eight miles then you can do it." I'm A Pretty Driven Guy. I tell them while they're working all day on the set I'm going to be there with them so they can't say they worked all day. I'll say, "There is no excuse you can give me, there is no sh!t you can try on me because I've been there and done it myself." And the guys will really respond to that. They are like, "This guy is just not going to quit so I better just work hard." [ Q ] What do you do at the first stages of a client's program? What I like to do with someone I've never met is to first just sit down and have lunch with that person. I like to spend some good in depth time; I do like getting a good read on people. Just to see if our personalities match and if we are going to get along. [ Q ] Since you began in the industry, what changes have you seen in terms of bodybuilding and fitness trends?
. These guys were just muscle-bound. Through the '90s guys like Brad Pitt were the big thing; the lean, slender ripped look. And now Hollywood is still trying to find an image. But it tends to go back. All these comic book movies are hugely popular. Granted a lot of these guys are getting away with rubber suits and everything. But I still think the audiences want to see the big ripped guys. I think in the next few years they will get a bit bigger and more buffed. [ Q ] There does seem to be a veering away from the more muscular actor nowadays. physique. But now he has the contract with Disney, which is awesome, and congratulations to him, but it's all toned down. He is a bigger than life, happy go lucky character, which kids really love and admire. 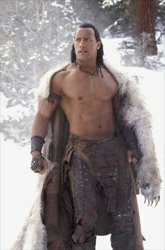 Dwayne Johnson In The Scorpion King. [ Q ] But not the same massive, intimidating quality that many actors of the '80s presented. Yeah we are just waiting for the next guy to come along and it will be like, wham! [ Q ] What strategies do you use to get your clients focused on their training objectives? I'm a visual guy and I use a lot of visual aids. I'm not afraid to take a picture, and just say, "Hey, this is how you look from day one. Now take you shirt off, here's a pair of shorts." Of course everyone just dreads that. They are like, "Oh, you are such an @sshole." I'm like: "Hey, part of the job. We are visual people. This is day one. We will see how we look in 15 days and then we will see how we look in 30 days." And in 45 days, that is when we will talk and make the required adjustments. [ Q ] And this approach works well for you? Oh yeah. Fantastic. I think everyone responds to that better. [ Q ] I've trained a few people and they will either like this approach or they will completely hate it. tool. They dread looking at themselves. And I'm like, "Yes, you should be pissed off. You let yourself look like this. Now, the good thing is you can change it. [ Q ] So the key for you is to try and reinforce the fact they can do it and you will help them. Are there any other things that might separate you from the average personal trainer? You know we all have a lot of knowledge; we all have knowledge in different aspects of what we do. But a lot of it comes from motivating the individual and leading by example. And I'm just a huge fan of that and that's why I think a lot of these guys like to work with me. What you see is what you get. And it's funny because a lot of these guys will go, "Will you go out and have a beer." And I'm like, "yes, sure. We will have about three to six beers if that's what you want. But remember, we are just going to have to work harder the next day." And that's what it's all about: having a happy balance. [ Q ] I think that is one reason you have so many clients. They like to have a beer with you. [ Q ] You mentioned earlier that you are currently contracted to one actor, John Abraham? Tell me more about this actor. Yes, right now I am contracted to one actor, but I'm always available at Gold's Gym. If anyone has a question they only need to come and ask. In the movie business, as you know, there are special requirements. A lot of times a project might take three months and it's like, "Okay, we have to go in two weeks." So you always have to be readily available. And Bollywood's funny because they work differently to Hollywood. A Bollywood actor, they really don't get contracted, it's like they go from movie to movie - it's constant work for these guys. The guy that I'm with, John Abraham, he's like the Brad Pitt of India. He's a handsome guy, so his physique is very important. I want him in shape 12 months of the year, no doubt about it. [ Q ] Tell me more about the recent movie theater incident you were involved in with John Abraham. Oh yeah, we are in London as I've been flown out there as he is scheduled to do a movie, but before this we began training for a few days before they started filming. So he asks me if I would like to go see a movie before they started filming and I'm like, "Sure." And when we get in there I see people pointing and saying, "There's John Abraham." So I think, "Okay a few people recognize him, it's no big deal." We are in Piccadilly Square right in the middle of downtown London. We come out of the movie theater and all of a sudden my God, there had to be about 500 people waiting for John to come out. And I'm like "you have to be kidding me." And of course when you walk out of a movie theater door the door shuts behind you and you can't get back in. So I'm "Oh sh!t." This guy has people all over him and the crowd was not separating. It was such a madhouse scene. It was crazy. The police had to come and rush him out. I said to him, "Dude, you are popular." (Laughs) and of course then he said to me: "Your job is now security and bodyguard." And I was like, "How on earth did I end up with this (laughs)?" [ Q ] I take it you are not a master in four different martial arts styles. [ Q ] And I understand you were in a similar predicament with Mickey Rourke. Tell me more about the hi-jinx you got up to with him? (Laughs) Oh with Mickey every night was hi-jinx. The funny thing with Mickey was it happened on the first night I got there, to begin working with him. And the producers were like, "Hello great to meet you and so on." And I'm like, "Thank you." And of course they asked me to keep an eye on him when we hung out in LA together. They told me we wouldn't get in trouble, that what I heard about Mickey's past was all behind him; Mickey had gone straight. And so we went out that first night. And it's funny because wherever Mickey goes his reputation precedes him. Well we were out and some Russian supermodel comes up to him and goes, "I've seen you in a movie, will you take me home?" I'm thinking, "well that is pretty easy, the whole Russian Mob will be outside waiting to try and kill us." Wherever Mickey Goes His Reputation Precedes Him. The next day in the headline and papers everywhere, it was all reported, about our night out. The next morning the producer read the paper and it's like, "Way to go Mike, you are going to watch him, keep him out of trouble." I'm thinking, "I've got three more months of this, I don't think that I can make it." [ Q ] What are some common goals your clients have when getting in shape for a movie role? came out and it was that one scene that was the most memorable in the movie when he was walking along and the freaking guy's ripped. And that's it. Daniel Craig In 007: Casino Royale. People were going, "The new Bond guy is in shape." And that kind of set the precedent for the new leading man so all the guys in Bollywood relate to that too. They say the guy in 007 is the guy that is in shape, and that is something they aspire to. So everyone wants to get the six-pack. [ Q ] And how would you approach the acquisition of a six-pack? People tend to think there is some kind of secret here. ; you always want to be in a constant fat burning zone. That's why when I go with these guys I eat with them. My room is pretty much right next to their room. We are eating together; it is like "Every two and a half hours we have to eat. And when we get some down time, we are going to do some activity. Before we go to bed we are going to do a little cardio, some stretching." So it is constant activities. [ Q ] What is your view on protein intake? Well protein is the foundation for building muscle so for my guys it's a gram of protein per pound of bodyweight. [ Q ] That's and old school way of looking at protein intake. , all of these guys were just jacked and this was so inspiring to me. I carry a copy of the original Pumping Iron with me and these guys were just eating all the time. A lot of Indian actors are eating just fish for their nutrition and I tell them they need to eat a lot. They are overwhelmed. [ Q ] When we talk about nutrition and training and combining the two there is a third element that is not often considered and that is drug use. Most people who take their training seriously have at some point considered drug use to reach their physique goals. Do you find your celebrity clients want to know more about this part of the puzzle? first caught sight of the stuff. And I'm kind of a living testimony to doing it naturally. I say, "If you guys really want to work hard, you are not going to get the massive size, but the massive size does not sell on screen anyway." If you are six foot one and you are ripped at 215, you are going to look six-one and 230. The film is going to give you that extra weight so you will look massive. But of course there are all these guys doing it (taking steroids) and then you have others who will say, "Well how can I do it that way?" And the other thing is my brother is a DEA agent and he is my best friend so I would never do anything to embarrass him. [ Q ] In the entertainment industry, as with professional sports, there appears to be a bigger, faster, stronger mentality where people will do whatever it takes to reach the top in the shortest period of time. We all know drug use is a reality in the professional arena at all levels. What advice would you give someone wanting to experiment with steroids? You always want to be educated. The thing is, a lot of steroids are used for good; burn patients use them with great results. But to me it (steroid use) has never really been fully studied from beginning to end. They could never do a case subject. Guys take it and use it and some get great results. Some guys don't get great results. [ Q ] What is you view on natural sports supplements? I think they are fantastic. There are a lot of good companies who spend a lot of good dollars on research and development and they have some excellent products. It is so hard to get all your nutrients from food because of all the processing. And especially then you are on the road a lot. A lot of these companies have some great protein bars and shakes. Especially now compared to 20 years ago - these things now taste fantastic. When we were kids we had to choke this crap down. Everything was just a battle. When the first bars came out it was like chewing on socks (laughs). But we kept shoveling it in. It is easy to take them with you to work or school or anywhere that you need to get your protein or satisfy your hunger in a healthy way. [ Q ] A lot of trainers tend to think that food is to be of fundamental importance, before one should even consider supplements. What do you think?
. And these are huge factors and a lot of this you can get from supplements; I think supplements work fantastic. You can't get everything from food. You can't be eating straight food six times a day when you are working. You can be on a set for up to 16 hours and these guys have to be on. And when that camera's rolling, there is a lot of money that is being put in. They are not going to stop and take a 40-minute break while a guy devours a stake and a potato (laughs). [ Q ] And how do you personally keep in shape when you are traveling around the world and spending time on various sets? training in the morning. Whether it's roadwork or whether it's in the gym downstairs. Breaking a good sweat in the morning always spiked my metabolism and I feel good. And I know during the course of the day I can always train somewhere. If I have 30 minutes, I can always get a fantastic workout. I can hit one body part a day. And I max train about 45 minutes with weights anyways. [ Q ] Do you train every day? Well I try to do cardio every day. With weights I do five on and one off. [ Q ] You are looking pretty ripped in most of your photos. Do you train cardio at a certain time during the day to achieve this look? It depends. Recently I've been having some clients at 4:00 a.m. and the gym doesn't open at three so for me I get my cardio when I can. But when I'm on the road, yes, definitely first thing in the morning on an empty stomach. [ Q ] What form of cardio do you do? I do it with whatever I have. I like to do roadwork. When I'm at the gym, when I'm home, I will do roadwork for a couple of days and take a spin class about twice a week. And I will use cardio equipment: I like the stairs, I find that really kills me. [ Q ] What advice would you give a personal trainer wanting to break into the celebrity training industry? You definitely need to be on top of your game. It is a tough nut to get into. You definitely have to be in an area where celebrities are abundant. A lot of it is word of mouth, reputation. And one of the things to do is just start submitting articles to publications and that way you begin establishing a resume. Because people like Brad Pitt are not going to say, "Okay, who is this guy Chuck who has written for Bodybuilding.com, written for Men's Fitness and Flex?" It is like "This guy is knowledgeable, maybe we can give him a run." Get some exposure for yourself, and then submit your resume to agencies. [ Q ] And like you say, word of mouth is also important. Yes, and it just takes one guy to say something. [ Q ] Is that how it worked for you? will pull me aside and say, "Hey, I like what you are doing, can we work separate?" And I will say, "Sure." A lot of the top players I would work with. Obviously these guys (the Denver Bronco's) won the Super Bowl two years in a row. On paper they are smaller, but they are stronger and they recover better, no one would get hurt and they would play the 16 season games. And people are saying, "What's going on with these guys?" And being here (in California) is just a big advantage. I told him we should try to formulate something based on the products, because when he broke into the league he was playing at around 190 pounds at six foot seven and now he is probably playing at 250. [ Q ] In your experience, are there certain shared qualities among celebrities that make them the best at what they do or is it purely talent? Most of the guys I think are just well driven. They have a confidence level that is just off the scale. Being around them is great; I just buy into these guys. When I'm with these guys I just feel so good because their confidence levels are just so huge it is like no matter what they are presenting with, the attitude is, "I can do it, I'm the man, that's my job, that's my role, I can do it." [ Q ] And that inspires you to do what you do too? And that's one of the things. When I'm done with a guy I always say, "Next time I'm just going to get in better shape, so don't you slack, because you have inspired me." [ Q ] That concludes the interview Mike. Is there anything you would like to add?